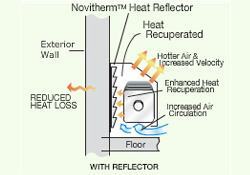 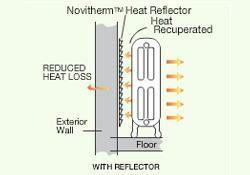 You are here: Home / What are Novitherm Heat Reflectors? 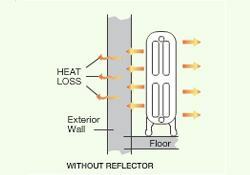 Heat Reflectors are an energy saving product designed for hot water heating systems in buildings older than 1980. 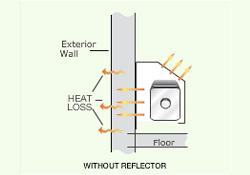 Scientifically designed to reflect radiant heat, they are installed in between the hot water heating units and the cold exterior wall.